Hmmmm, has someone been watching too much Pacific Rim? 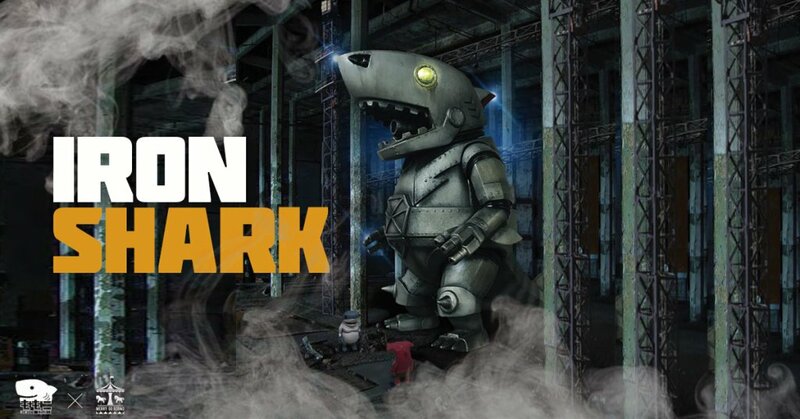 Who knows, but what we do know is Momoco Studio and Merry Go Round have joined forces to bring you all Mecha Shark Lords aka IRON SHARK! Servery armoured up! Move outta the way JAWS as there’s a new boss of the oceans. We had to use Google translate to get the info on this IRON SHARK, but it looks like 25th August-1st September should have a custom event taking place ( More info at VVC FB page) and alternative editions will in due course heading to FUCKAIJU and NU-DE Toy Salon. We will bring you more info as soon as possible for now, check out David Lau aka LordMasterPrince custom Iron Shark below!